Wah! Wah! *Sirens Flash* Wah! Wah! 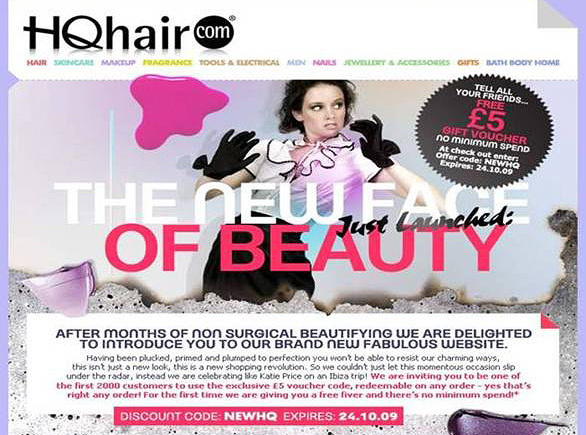 HQHair has had a makeover! And they have a stonking offer! The first 2000 orders received at HQ Hair from 12 noon tomorrow (23/10/2009) will receive £5 off the total order with no minimum spend! That’s a free fiver! I’ll race ya! Anything tempting you on the site? I’m off work tomorrow but mother dearest wants me to take her shopping so I’m going to make sure I’m near a computer by 12..now to source something out which comes in at under a £10! @Rhamnousia – Did you partake? I bought some NARS!